When on holiday in Scotland one of my favourite things to do is visiting distilleries in the Spey Valley, the Spey Valley is not the only area in Scotland for visiting distilleries, but the advantage you have is there are so many within a small area and touring a few in one day is a possibility. The whisky trail in the spey valley is fed by the great local ingredients like the crystal clear spring waters and abundant supplies of the finest barley, within the spey valley you will more than half of the Scottish distilleries supplying Scotland’s Malt Whisky that is imported all around the world. 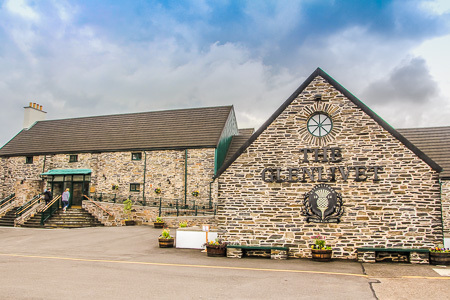 From Glenfiddich to Glenlivet the two biggest in the area to smaller distilleries dotted around the valley you will always find time to discover new flavours and experiences to satisfy any Malt Whisky lover. You will find that the larger distilleries offer free tours, but the smaller ones you will have to pay a small fee for the tour, at the end of the tour you will be offered a dram, but please ensure that the driver of the group is offered a miniature to take home. If you don’t want to drive you will find plenty of local tour companies offering distillery day trips, you can find more information at your local tourist office. 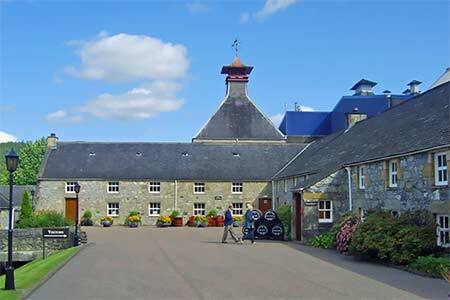 There are also tour companies who offer multi day tours to the Speyside. For the whisky connoisseur you can book a special guided tour that will often have a tasting session of all the whisky produced by the company at the end of the tour, these tours can work out a bit more expensive but worth every penny to experience the pure delights of the various blends offered. In the Spey valley there are also specialised shops in the area and two great shops are found in Dufftown and Tomintoul. There is always something going on like whisky festivals and the local pubs stock a great variety of whisky to get your taste buds tingling, no matter where you are in Scotland you will always find a whisky expert to talk to especially in the local pubs.